Avondale ia a newly renovated family run Bed and breakfast. We offer high quality en-suite accommodation in modern surroundings and a friendly athmosphere.we are situated on the Western road and we are literally a 5 minute walk to the city centre . Situated on the Western Road which is the B&B district of the City. Close to all the City has to offer with its vibrant nightlife on Washington Street and all the Theatres and Galleries. Great Pubs and Clubs, Shopping and eating. Adjacent to UCC. The only thing to rival The River Lee Hotel s superb vistas of the Cork s unique cityscape and the River Lee is its magnificent interior. This 4-star hotel is located just minutes away from Cork s main theaters entertainment and shopping districts and offers visitors a sophisticated urban retreat in almost rural surroundings. At this luxurious hotel business guests can work and unwind and visitors to the city enjoy their hotel break in complete comfort reveling in bold contemporary style outstanding facilities and the mouth-watering menu of The Weir Bistro and Bar. Located in the heart of Cork City The Imperial Hotel is Cork s most central hotel. This 4 star hotel in Cork is located in the business district less than a minutes walk to the main shopping district music and cultural events. 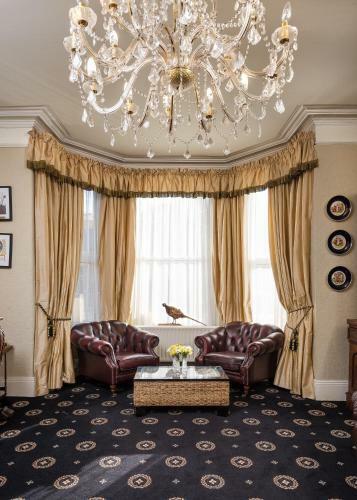 The contemporary luxury of this 4 star hotel in Cork sits comfortably alongside the charm and opulence of a by-gone age. The 4 Imperial Cork Hotel boasts luxury hotel accommodation in Cork offering guests 125 beautifully appointed hotel rooms which are spacious and inviting. The Pembroke Restaurant at the 4 Imperial Hotel Cork City offers fine dining in beautiful spacious elegant surroundings. Seasonal and innovative menus blend Irish and Mediterranean cuisine. Located on the doorstep to Cork s finest fish and meat markets our chefs prepare each meal with the freshest local produce. The Food Hall in the luxury Imperial Hotel Cork City is a sociable lunch venue a popular spot for informal delicious dining. Stylish modern cuisine delivered with professional efficient service is just the right antidote for a morning s busy shopping in the city. Take time for yourself at Lafayette s in the luxury 4 Imperial Hotel in Cork City. La Fayette s Brasserie in Cork City is perfect for a morning coffee to enjoy with your daily news. Have a simple informal lunch in unique environs or savour an afternoon tea away from the bustling city just outside the door. Imperial Hotel opened its seafood gem the Fish Hatch a small but perfectly formed outlet for serving premium fish and chips to the wider public from its restaurant kitchen. Parking is available offsite for 9 euros per day. Baby sitter / cot available however you need to pre-book it in advance. The Cork Travelodge hotel is ideally situated (3 miles from Cork Airport & 1.5 miles from City Centre)for those looking for a base to explore Cork city and county offering spacious modern rooms together with unbeatable fixed room pricing. For the budget conscious family corporate guest or short break customer the Cork Travelodge hotel cannot be beaten for low cost accommodation and value. Eddie Rockets American style Diner open from 8.00am to 11pm serving breakfast lunch and dinner. Reception manned around the clock also offering an arrivals and departures screen giving all information for Cork International Airport. Travelodge Cork also offers complimentary parking for those arriving by car. Free Wi-Fi with unlimited data for all devices throughout the hotel. Cork Airport Hotel is a stylish contemporary hotel situated within the airport complex. It is located just 10 minutes form Cork City and is on the main route to Kinsale and West Cork. The Riverstix Bar and Restaurant is an ideal venue to relax and unwind after a days touring offering fine food and friendly service. Now with free WiFi There is a 24 hour complimentary shuttle service available to and from the Airport terminal and also the Airport business park. Also we now offer complementary car parking to our guests. Breakfast is available from 6.30AM but for those catching an earlier flight there is a Grab and Run breakfast available from 4.30AM. All 81 executive guest rooms have multi channel TV movie channels minibar iron and ironing board work desk and tea / coffee making facilities. Garryvoe Hotel in situated in East Cork directly overlooking beautiful Ballycotton Bay and Garryvoe Strand taking in spectacular views of 5 km of one of Ireland s finest beaches. Garryvoe Hotel is just 30 minutes drive from Cork City and Cork International Airport we offer the perfect location with scenic walks sailing windsurfing and many local attractions close by. Our guest bedrooms are of contemporary design with dramatic sea views. At Garryvoe Hotel our aim is to greet guests at least twice first when they discover us and second when they return for more. Wireless Broadband throughout the entire hotel. The Bayview Hotel is romantically situated overlooking miles of spectacular coastline nestled in the unspoilt fishing village of Ballycotton. Explore the many treasures of East Cork as well as the wider environs of County Cork and Munster. Located just 30 minutes drive from Cork City Ballycotton is a wash with scenic walks or drives and activities such as windsurfing and sailing as well as offering many local attractions such as Castlemartyr Castle. 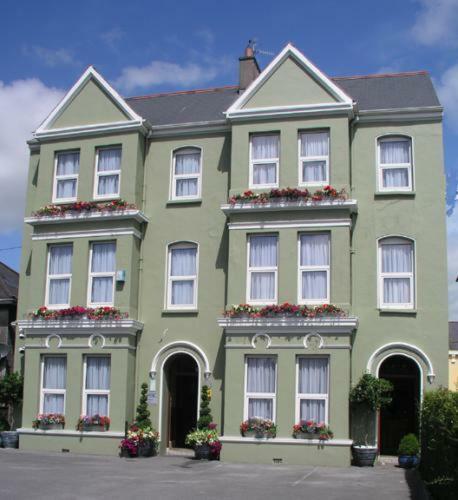 The 4 star Bayview Hotel offers luxury accommodation in East Cork. Directly overlooking the ocean each of our 35 bedrooms including 2 master suites are designed as the perfect combination of luxurious comfort and modern facilities with their soothing colours and classical styles. All rooms are ensuite facilities include direct dial telephone television and tea/coffee making facilities. Walk out balconies in the Superior rooms enhance the experience of the magnificent panoramic views. The Rochestown Park 4 star hotel Cork formerly one of Irelands most important historical houses has been meticulously restored and refurbished over the past 20 years to culminate into an international luxury hotel. One of the best located Cork hotels Rochestown Park is standing impressively adjacent to the south ring road within the prestigious village of Douglas a mere 3km from Cork City Centre and Cork International Airport. This house hotel in Cork was built in the early 1900 s as home for Sir Abraham Sutton Lord Mayor of Cork knighted by King Edward VII. Set amongst 11 acres of grounds the house continued to be a family residence until 1947 when it was passed to The Kiltegan Fathers and served as a seminary for some 200 Fathers bound for missionary work overseas. Leaning on this vast heritage The Rochestown Park Hotel Cork can offer the ultimate in luxury accommodation elegance and style. The hotel has a long standing reputation for providing guests with the finest rooms and suites. All our 150 bedrooms contain an unequalled combination of luxuries from individual controlled mood lighting workstation with complimentary wireless internet access 32 inch LCD TV screen TV vanity area with hairdryer vanity table personal safe oversized choice pillows sleep easy beds with duck down duvets individually controlled air conditioning and 24-hour superior room service. With a range of Cork accommodation to choose from stay in our executive rooms superior guestrooms junior suites presidential suites or self-catering townhouses. Look no further for Accommodation in Cork. Take the plunge and feel alive at The Thalassotherapy Centre in our 20 metre Cork swimming pool or challenge yourself to the more strenuous workout at our state of the art gymnasium at The Rochestown Park hotel and leisure centre Cork. Alternatively you could just slip into the Jacuzzi and let the strains of the day subside or let your body feel deeply cleansed in the heat of our Sauna room as it refreshes and rejuvenates. Our award winning Chef and his team of local experts use only the best seasonal ingredients from local producers. A menu of fresh contemporary homemade dishes and breads are complemented with a carefully selected wine list to serve our guests in our relaxed atmosphere. Guests can expect the highest levels of presentation and service from our creative team who look forward to enhancing your dining experience with our friendly professional approach. In the town of Cobh The Bella Vista Hotel overlooks Cork Harbour. This luxurious Victorian villa offers modern rooms with free Wi-Fi a traditional Irish Bar restaurant and free parking. Bedrooms at The Bella Vista Hotel & Self Catering Suites feature satellite TV and tea/coffee-making facilities. Bathrooms have baths and showers and most rooms have views of Cork Harbour the second largest natural harbour in the world. The award-winning Continental Restaurant has ocean views and serves European and Chinese food. The cosy Full Rustic Bar offers a full bar with Guinness and Murphys a fine selection of whiskeys and open fires. Cobh town centre and train station are just a 5-minute walk Fishing is available at the harbour. Fota Wildlife Park is a 10 minutes drive away. There are around 30 golf courses within a 30-minute drive. Bella Vista caters for fishing groups and is able to organise boat hire for fishing trips as well as all fishing tackle and equipment. Fishing Kayaks and bike hire is also available from the hotel. Located in the heart of the golfers paradise just 10 miles East of Cork City. The hotel is just a 2 minute stroll from the town of Midleton and is renowned for fine food and service. Facilites include Full leisure Centre & Wellness Centre & Spa. Local attractions include The Old Midleton Distillery Fota Wildlife Park & Ballymaloe Cookery School & Gardens. Nestled in the bustling town of Carrigaline Co Cork The 4-star Carrigaline Court Hotel & Leisure Centre offers luxurious facilities of international standard to both business and leisure guests. This luxury accommodation Cork is situated just 15 minutes drive south of Cork City and is one of the best located hotels near Cork Airport with only a 10 minute drive ahead of you on your arrival or departure. Our hotels Cork location is ideal for those who wish to visit the Cork area with plenty of attractions and activities nearby including the picturesque town of Kinsale the renowned Jameson Midleton Distillery or the amazing Fota Wildlife Park as well as many other visitor attractions. Golfing enthusiasts will be amazed at the stunning variety of Championship Cork Golf Courses in the area including Fota Island Old Head of Kinsale Monkstown and many others. Our luxury 4 star Cork hotels interior is warm and inviting and offers many excellent facilities including 91 spacious Bedrooms an elegant Bistro and the contemporary Collins Bar. For those looking for the most modern conference venues Cork has to offer then don t look beyond our 5 superb Conference Rooms. We also offer an extensive Leisure Centre including 20m Swimming Pool Beauty & Massage Treatment Rooms and complimentary car park. The Carrigaline Court Hotel has firmly established itself as one of the most popular wedding hotel Cork has to offer with a reputation for unrivalled facilities service and award winning cuisine.If you are looking for luxury hotels Cork then look no further than The Carrigaline Court Hotel and Leisure Centre. The Carrigaline Court Hotel and Leisure Centre 4 Star Hotel Cork looks forward to welcoming you! Just 2 miles from the centre of Cork city and 4 miles from Blarney Castle Great National Commons Inn Hotel has free Wi-Fi and free parking on site. Blackpool retail park shopping centre and cinema is less than 10 minutes walk away. Rooms are light and traditionally furnished and each benefits from a flat-screen TV tea and coffee making facilities and an en suite bathroom with free toiletries. The Commons bar is large and friendly and the restaurant is modern in design. There is an extensive carvery lunch menu every day of the week and in the evening traditional favourites are served. There is a bus stop just outside which can take you into Cork s centre. Fota Wildlife Park is 16 km away and Mallow Racecourse is 25 km from the building. Enjoying beautiful harbour views Robin Hill Sanctuary Guesthouse in Cobh offers high-quality accommodation in a tranquil setting. Formerly a 19th-century rectory with a range of complementary medicine treatments available Robin Hill Sanctuary provides free Wi-Fi and free parking. 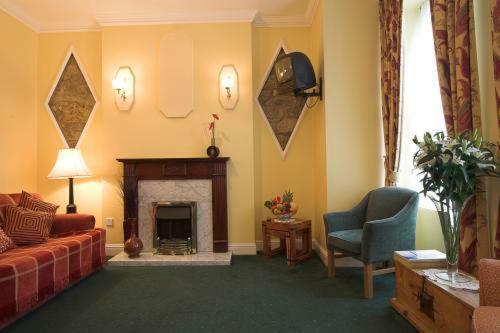 All rooms include a flat-screen TV wardrobe iPod dock and tea and coffee facilities. The en suite bathroom has a shower hairdryer bathrobes and complimentary toiletries. Robin Hill Sanctuary provides a variety of breakfast options for an additional cost including continental full Irish and breakfast in a bag. The property has beautiful mature gardens for guests to enjoy. The centre of Cork city is around 30 minutes drive away with attractions including the Everyman Palace Theatre and Cork Opera House. The Cork English Market is a popular covered food market around 25 minutes from Robin Hill Sanctuary. The historic maritime town of Cobh is a 5-minute walk away offering harbour and island tours and the Titanic experience and Heritage Centre. We speak your language! 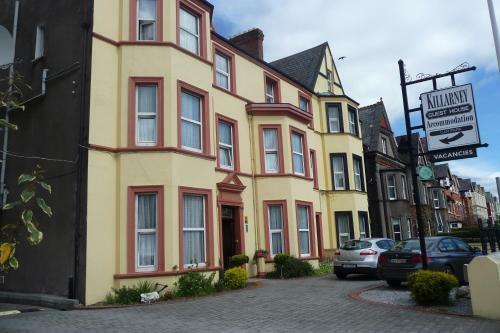 Overlooking Fitzgerald Park, The Redclyffe Guesthouse is opposite University College Cork. Cork city centre is a 10-minute walk and Redclyffe offers free Wi-Fi, free parking and traditional breakfasts. College View Apartments is a new luxurious apartment complex directly opposite University College Cork (UCC) and a 5-minute walk from the city centre. Each self-catering unit is furnished to a superior standard, and have cable TV channels. Boasting 4 AA stars, this guest house provides contemporary, elegant accommodation just a 20-minute walk from Cork city centre. 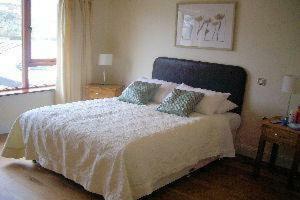 Overlooking Fitzgerald Park, the Killarney Guest house sits opposite University College Cork. Recommended by the Irish Times, this family-run guest house offers bedrooms with en suite bathrooms, free Wi-Fi in the lobby and free parking. 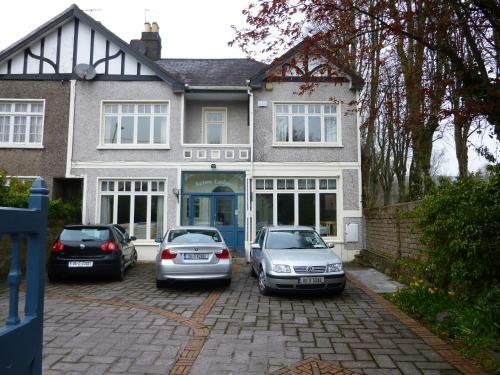 Hazelton House is set in Cork, 200 metres from University College Cork. Free private parking is available on site. Hazelton House features free WiFi throughout the property and in all of the rooms. Each room has a flat-screen TV and is en-suite. 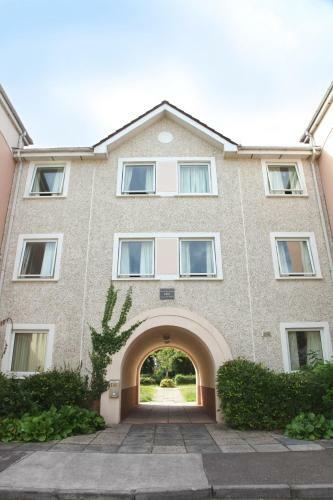 Offering a garden, UCC Castlewhite Apartments is located in Cork, 300 metres from University College Cork. St. Finbarr's Cathedral is 1 km from the property. Free WiFi is available throughout the property. All units feature a seating area. Opposite University College Cork and close to St Finbarr's Cathedral, these well-equipped apartments offer free Wi-Fi and are walking distance from the centre of Cork. Acton Lodge is a family-run B&B less than a mile from Cork city centre. 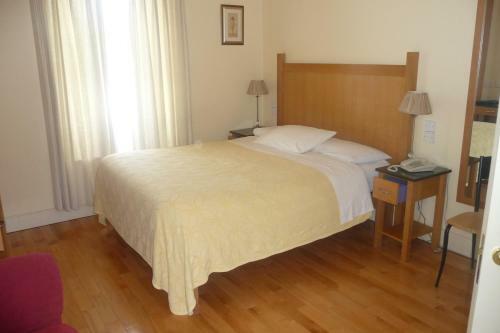 It has free parking, free internet access and is a 2-minute walk from University College Cork. With homemade scones and tea on arrival and an award-winning gourmet breakfast, this guest house is located in the centre of Cork. Cork weekends away are popular and flights from the UK provided by Ryan Air and Aer Lingus. Cork is the second largest city in Ireland, and largest city in Munster. Cork has been nicknamed the Rebel County due to how it participated in the two wars Irish War of Independence and Civil War. In 2005 Cork won Euro Capital of Culture. .
Cork Jazz festival is in October - Book well in advance. Cork also have a Film festival in October again book well in advance. Cork in 1912 saw the worlds largest liner leave its last port of call, the unsinkable RMS Titanic. It never reached New York after striking an iceberg Leonardo Di Caprio dying (well in the film). Cork harbour is the second largest natural harbour in the world. Corks sports fanatics enjoy hurling, gaelic football, and soccer and are the most popular sports in Cork. Indeed Cork are hold the record for Hurling. Gaelic Athletic Association clubs in Cork are plentiful. Rowing and Sailing and many other water sports are available in the harbour for your leisure. Just outside Cork is the Jamesons Experience Midleton where you can sample some fine Irish Whiskey to be sure to be sure to be sure. Suburbs in the city of Cork are amongst others Glanmire and Carrigaline, Blackpool, Ballincollig, Douglas, Wilton and Mahon. Cork Bed and Breakfast, Cork B&Bs, Cork Guest Houses, Cork Hotels, Cork Cheap Hotel accommodation suitable for a Cork Weekend Break, a Cork City Break, Cork Wedding Accommodation, Cork Guys Night out, Cork Girls Night out or even a Cork Stag Party Stag Night or a Cork Hen Night. 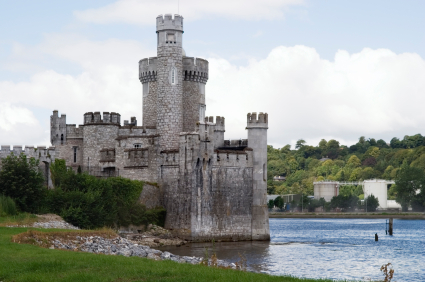 Cork Airport— Fly to and from Cork from all over europe and stay nearby for that early flight. University College Cork National University of Ireland— With a long list of famous alumni including Rugby maestro Ronan O Gara and actress Dame Fiona Shaw. Graham Norton also attended UCC but failed to graduate. Cork Institute of Technology— Opened in 1973 and formerly known as Regional Technical College, Cork and has 17,000 students. Cork Opera House— Southern Irelands No1 venue for Theatre, Musicals, Dance, Comedy, Concerts and of course Opera. New Users/How to Create a User Account – User Login allows you to access your saved “Shortlist” of properties. First you need to create a Shortlist by adding desired properties from any results page. Click “+”/”Add to Shortlist”. Then click “My Shortlist” and save your shortlist which will take you through the User Sign Up process”. After which you can Login via the “User Login” box to access all your favourite properties, and pre defined shortlists.